There is something I believe strongly in and that is to use all the resources we can to bring our partner’s through to a place of healing and managing their depression more effectively. As the person supporting your partner, you too need to be aware of the emotional energy that is being drawn out of you as you manage this challenging relationship. There will come a point when you will need to make a decision about putting yourself on your list of priorities to ensure you are also taking care of yourself. I eventually became so emotionally exhausted from assisting my partner through his depressive cycles that I too was diagnosed as suffering from depression at one point in time. 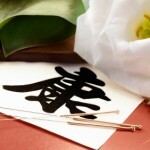 That has all been healed now thanks to the combination of traditional and holistic natural therapies. Malcolm and I have combined the traditional treatment recommended by his specialist with a range of natural therapies that suited our individual emotional needs. Without these I am sure we would not be where we are today. So I would encourage you to do your own research into what natural therapies you can add to any traditional treatment that has been prescribed for your partner. Please do not forget about yourself in all of this. It is imperative that you take care of yourself and in this regard put yourself on the top of your list of priorities. For me the care of the Naturopath was essential to my emotional and mental wellbeing and I am very grateful to my Naturopath for their consistent professional care and support. Also visits to the day spa for therapeutic massage were of enormous help to me to relieve the tension that I was carrying in my body. Without the care, understanding and support of these people I would not be the woman I am today with the capacity to reach out to others to assist them manage their own journey of living with a partner with depression and to regain their personal freedom and emotional energy. Here is an excellent article on natural therapies for depression. Please click on the link to read the article. Peter Kahler is a doctor of naturopathy and my personal naturopath. Peter has kindly prepared some articles for us on overall wellness for women and the issues to be mindful of that could be affecting us emotionally and causing the symptoms of depression. Remember in some of my articles and in my e-book I talk about the trap of exhausting yourself while supporting your partner who is affected by depression and that if you are not careful you find yourself in your own cycle of depression. Have a good read of these articles and if you are experiencing any of the symptoms Peter discusses please take some positive steps to bring yourself into a place of renewed wellness. In these articles Peter has offered alternate therapies that can be applied to relieve these symptoms. I would encourage you not to run off to your favourite health shop and spend your money on the suggested alternate therapies. It is far more cost effective for you to actually visit a naturopath who can pinpoint the health issues that need attention and make specific recommendations for an alternate treatment plan. Can diet be an influence on depression? “What causes depression? Possible causes or triggers of depression include: Wheat and related grain allergies, dairy and other food sensitivities, chemical sensitivities, environmental toxins, genetic predisposition, vitamin and mineral deficiencies, hormone disturbances (including postnatal), disordered brain biochemistry, reduced blood flow to the brain, anemia, blood sugar problems. In other cases, a mineral deficiency may cause depression; the mineral deficiency may be brought on by an allergy. In addition, tests performed on people suffering from depression show that some of their immune cells are relatively low. Lifting Depression, Awareness Magazine – September/October 2001, By Alex Strande, N.D., Ph.D.
“Depression is a huge health issue in our modern society. Within the circle of people you know it is likely that one or more of them are taking some form of anti-depressant medication. Depression covers a wide range of mental, emotional and physical symptoms. Homeopathic medicines are derived from plants, animals and minerals and undergo a process called Potentization, whereby they are succussed (shaken) and diluted beyond there being any physical trace left of the original substance they were made from. In other words, they are energy medicines and consequently stimulate the body’s own healing processes, rather than merely just suppressing symptoms. As energy medicines, Homeopathic remedies act on a person’s energy or Vital Force (called Chi in Traditional Chinese Medicine). Another principle of Homeopathy is that when a person develops ailments, what first goes out of balance is their Vital Force. This then manifests as the symptoms we can observe. Homeopathic treatment always individualises. It does not give the same medicine to all people with depression. It carefully matches the patient’s symptoms to that of the medicine. The whole person improves if given the correct medicine ie: a person will experience an improvement on all levels; mental, emotional and physical. Homeopathic remedies have no side effects, because they contain nothing physical the body can react to. 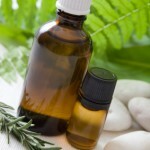 Aromatherapy is a very holistic system of medicine. The oils can alleviate symptoms, prevent many illnesses and disorders and help in their healing process. 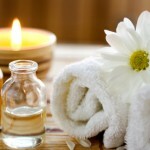 Aromatherapy is the use of fragrant “essential oils” drawn from flowers and grasses, trees and roots, leaves and fruit. I have used aromatherapy extensively within my home to assist relieve some of the symptoms of depression my partner was suffering. I have a Certificate in Aromatherapy and have used this knowledge to ensure I am using the most effective formulas for relieving some of the symptoms that accompany depression. 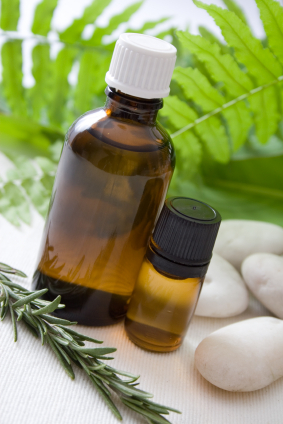 I use only pure essential oils to ensure the maximum benefit of relief to the symptoms. I purchase my oils through a reputable supplier Ahimsa. You will pay a little more for their products than you would if you purchased them at the pharmacy or other such outlets, however you can be assured of the purest most effective oils that are available. I use a ceramic oil burner which allows for a small candle to be placed in the bottom of the burner to create heat. The top of the burner is formed so that you can add water then the drops of oils as recommended in the formulas. So you would place drops of the oils recommended for the symptom into the water that has been placed in the top of the burner. 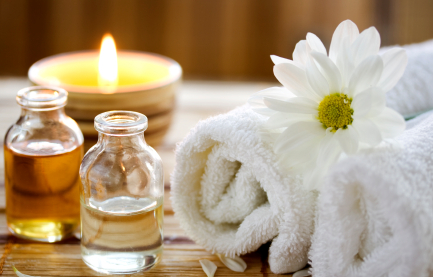 As the candle heats, the therapy from the oils is released and does its work within the home and on the symptoms. Warning: None of the above formulas contain peppermint oil however I do have a responsibility to warn you that you must never use peppermint oil, for whatever purpose, around a woman who is pregnant. 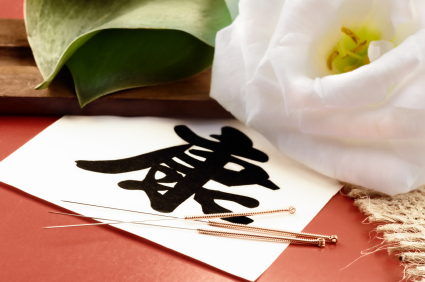 The difference with acupuncture and Chinese herbal treatment is that these treatments treat the root cause of the disease – the internal imbalance caused by the exposure to external stress. Such stress, if not treated, can cause energy “blockage” or changes of the neurotransmitters such as a decrease of brain concentration of the serotonin levels-resulting in symptoms such as anxiety, poor sleep, fatigue, and eventually, depression. I found having a regular therapeutic massage session would bring a deep sense of relaxation to both my body and my mind. It would also give me some very precious time out for myself. You might like to try this to relieve some of the tension that can build up within you as you manage living with a partner suffering with depression. “As a holistic therapy, the benefits from reflexology on anxiety and depression levels are best understood as the effect it can have on the body, mind and spirit as a whole. It is seen as working from the ‘inside-out’ and gradually gives the body an opportunity to re-adapt to an improved level of well-being. Depression is often linked with hormonal imbalance as well as various emotional and/or physical circumstances. Reflexology is proven to aid relaxation and by working your endocrine (hormone) system it can help to rebalance your hormones which may be affecting your state of mind. An experienced reflexologist will also have some basic counselling skills, which may be helpful but professional counselling is recommended for anyone suffering from depression. at a deeper level it seems to act as a ‘catalyst’ for a process of recovery and healing of the organism as a whole. “Anxiety might begin to rise for no apparent reason and mentally all sorts of turmoil and noise might begin to develop. How can you become calm and focussed so that you might begin to arrest the rise of the negative turmoil, the anxiety and finally depression. 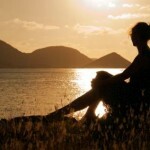 The simple answer is that it is sometimes difficult to arrive at effortless meditation. It requires work to get to real silence. It is an act of faith to believe in yourself enough to know that ultimately you are responsible for your state of mind and that you can control you mind and emotions. For most of us, this is really hard work. Little successes need to be seen for the steps that they are to the ultimate mastery of our minds. Even more importantly, we must realise that our ‘so-called’ failures are steps too. It might take us 99 times of falling off a bicycle before on the 100th attempt we ride it. All 99 steps are important. We are explorers and we are charting places that we have not been to before. None of the information offered in this holistic therapies resource section is offered as advice. It is for information purposes only. It is the individual’s responsibility to research and seek out appropriately qualified professionals in any of the alternate therapies listed for consideration in the treatment of depression. It is also the individual’s responsibility to follow the medical advice that has been recommended by their treating specialist. The individual must take responsibility for any decisions they make in relation to the use of any of the holistic therapies discussed in this section.